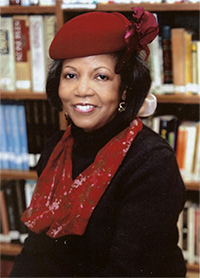 Wanda Harewood Jones, MS. is a counseling specialist with rich experience in all areas of school counseling. She has served as a Teacher, School Counselor, and Educational Consultant with the Ohio Department of Education, Division of Student, Families and Communities – Guidance, Counseling, and Development. Dr. Radd served on numerous Ohio counseling advisory groups and committees that Wanda led. In her over 20-year tenure at ODE she provided leadership to advance and support school counseling programs and counselors statewide. In addition, she represented Ohio to advance diversity issues essential to the success of all. Wanda directed the Ohio Character Education and state federal programs and still serves to advance character programs. She principally authored Ohio’s Guidance Curriculum Resources 1999 and authored and prepared several publications for parents and educators. Wanda is a public speaker and is present at numerous in-service meetings, workshops, and conferences on various aspects of guidance, counseling, and development. She has firsthand experience of the positve impact, research, history, and development of the Grow With Guidance System.